Fear of mosquitoes continues to grow as Zika virus joins the list of burdening arbovirus infections. Perhaps the biggest surprise this week wasn’t that imported Zika cases continue to spring up across the US, but rather that the first sexually transmitted case occurred in Dallas, Texas. I’m starting to think Dallas, TX, could use a break from emerging infectious diseases… As influenza season picks up in the US, Avian influenza outbreaks are popping up in Taiwan, South Africa, and Macao. Good news- it’s safe to go back to your favorite burrito bowl! The CDC declared the Chipotle-associated E. coli outbreak over, however, their co-CEO has voiced frustration over delayed reporting. In the interview, he felt that it gave the “mistaken impression that people were still getting sick” and news was “fueled by the sort of unusual and even unorthodox way the CDC has chosen to announce cases.” Before we venture down the biodefense rabbit hole, don’t forget to stay healthy and safe this Super Bowl Sunday. Spikes in cases and flu-related deaths (in those >65 years of age) can jump by 18% in the home regions of the two teams. Take care to avoid respiratory viruses and food-borne issues while cheering on your favorite team this weekend! Having worked in pediatrics, I was thrilled to see the American Academy of Pediatrics publish the updated guidelines. Throughout my work in infection prevention and collaborations with hospital emergency preparedness and local county health departments, it became increasingly evident that in many ways, this is a patient population that is easily forgotten. There is a woefully apparent gap in preparedness methodology to recognize and modify practices to meet the unique needs of children. While many may laugh at the notion that “children aren’t just little adults”, those who have worked in pediatrics can attest to these common misconceptions. Children are not only more susceptible to the devastation of disasters and CBRN attacks, the medical counter measures often do not account for pediatric dosages. The published report discussed their work over the past five years to better address and fill major gaps in preparedness efforts when it comes to medical counter measures (MCM) for children. “Moreover, until recently, there has been a relative lack of pediatric MCM development and procurement; many MCMs were initially developed for use by the military and have been evaluated and tested only in adults.” Some of the recommendations that were made from this report include: “the SNS and other federal, state, and local caches should contain MCMs appropriate for children in quantities at least in proportion to the number of children in he intended population for protection by the cache” and “federal agencies collaborating with industry, academia, and other BARDA partners, should research, develop, and procure pediatric MCMs for all public health emergency, disaster, and terrorism scenarios and report on progress made.” Perhaps one of the most interesting recommendations was that “the federal government should proactively identify anticipated uses of MCMs in children during a public health emergency and, where pediatric FDA-approved indications do not exist, establish a plan to collect sufficient data to support the issuance of a pre-event EUA that includes information such as safety and dosing information and the federal government should use existing entities with pediatric SMEs, such as the PHEMCE, PedsOB IPT, and the DHHS National Advisory Committee on Children and Disasters, and continue to collaborate with private sector partners offering pediatric expertise to provide advice and consultation on pediatric MCMs and MCM distribution planning.” Overall, these recommendations and the push for data collection and clear progress reporting are definitely a step in the right direction. Interested in a master’s degree that allows you to focus on bioweapons, global health security, and WMD’s? Check out GMU’s School of Policy, Government, and International Affairs (SPGIA) Open House on Thursday, February 25th at 6:30pm, at our Arlington Campus in Founders Hall, room 126. Representatives from our Biodefense program will be there to answer all your questions. Better yet, check out our Biodefense Course Sampler on Wednesday, March 2nd, at 7pm (Arlington Campus, Founders Hall, room 502). Dr. Gregory Koblentz, director of the Biodefense graduate program, will be presenting “Biosecurity as a Wicked Problem”. Come check out our curriculum and get a taste of the amazing topics we get to research! Researchers at the University of Greenwich are finding a potential cancer-fighting strategy using the anthrax toxin. Lead scientist, Dr. Simon Richardson, is working with his team to convert the anthrax toxin into a delivery tool for medications.“This is the first time a disarmed toxin has been used to deliver gene-modulating drugs directly to a specific compartment within the cell. We’ve achieved this without the use of so called helper molecules, such as large positively charged molecules like poly(L-lysine). This is important as while these positively charged molecules, known as polycations, can condense DNA and protect it from attack by enzymes before it reaches the target, they are also known to be toxic, break cell membranes and are sent quickly to the liver to be removed from the body. In this study we demonstrate that using disarmed toxins without a polycation is effective, at a cellular level.” In the world of Zika virus….On Monday, the WHO Zika virus team met and announced that the outbreak should now be considered a public health emergency of international concern. Dr. Margaret Chan, WHO director general, stated, “I am now declaring that the recent cluster of microcephaly and other neurological abnormalities reported in Latin America following a similar cluster in French Polynesia in 2014 constitutes a public health emergency of international concern.” Given the level of uncertainty regarding the disease, many feel this was a justified classification of the outbreak. The first case of sexual transmission within the US also occurred in Dallas, Texas. The patient became sick after having sexual contact with an individual who became symptomatic upon return from Venezuela. Chile and Washington DC have just confirmed their first three cases this week. Mexico’s Health Ministry is trying to downplay the Zika impact on tourism, however as the outbreak unfolds, it will be interesting to see long-term tourism repercussions within the affected countries. The state of Florida is ramping up their mosquito elimination, control, and education efforts to combat the growing epidemic, as it is one of the mosquito-heavy states within the US. Governor Rick Scott recently declared a health emergency in four Florida counties. If you’re on the lookout for educational tools, there are several helpful CDC informational posters regarding mosquito bite prevention. In effort to protect military members and support global public health, the DoD (specifically, the Military Health System in coordination with the Defense Health Agency’s Armed Forces Health Surveillance Branch) developed the 2014 Global Health Security Agenda (GHSA). The GHSA established a five-year plan with specific agenda items, targets, and milestones that would incorporate its 31 partner countries. The DoD’s Global Emerging Infections Surveillance and Response System (GEIS) will also support these efforts through their biosurveillance practices in over 70 countries. 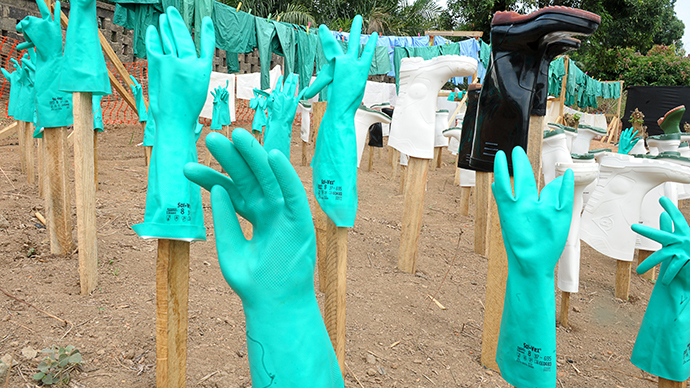 The international work is as varied as the challenges one might see in global biosurveillance. The Armed Forces Health Surveillance Branch (AFHSB) “leveraged existing febrile and vector-borne infection control efforts in Liberia to support the recent Ebola outbreak response. The Liberian Institute for Biomedical Research served as a central hub for Ebola diagnostic testing with the help of the Naval Medical Research Unit-3 in Cairo, Egypt and two Maryland-based facilities, the Naval Medical Research Center in Silver Spring and the U.S. Army Medical Research Institute of Infectious Diseases in Frederick.” Surveillance efforts will also look at antimicrobial resistance and the development of additional research laboratories to work in coordination with host-nations and certain regional networks. You can also read Cheryl Pellerin’s work on DoD Biosurveillance and the role it plays in maintaining global public health efforts. Pellerin reports on the duties of the GEIS and the US Army Medical Research Institute of Infectious Disease (USAMRIID) in not only global health security, but also protecting US military personnel from infections while abroad. There are few things that will make a food-borne disease epidemiologist (or infection preventionist for that matter) as frustrated as a norovirus outbreak. It hits quickly, is highly infectious, and tends to leave you with stories from case-control interviews that will make you either laugh, cry, or need some fresh air. A Kansas City suburb is currently experiencing a 400 person outbreak of gastroenteritis associated with the New Theatre Restaurant. Initial lab reports have confirmed norovirus as the culprit. The Vice President of the restaurant said that three employees have also been confirmed as norovirus cases. To date, the almost 400 people who reported symptoms are said to have eaten at the restaurant between January 15 to present. Norovirus is a pretty unpleasant gastroenteritis (you’ve probably heard it called the “cruise ship bug”) as it has a low infectious dose (estimates put it as low as 18 viral particles, while 5 billion can be shed in each gram of feces during peak shedding). Norovirus outbreaks tend to spring up quickly and infect high volumes of people, making it difficult for public health officials to jump ahead of the outbreak. Perhaps one of the biggest components to stopping the spread of infection is good hand hygiene, environmental cleaning, and staying home when sick. Resistant HIV – A recent study published in The Lancet discusses drug resistance after virological failure with the first-line HIV medication, tenofovir-containing ART (antiretroviral therapy). This treatment is used as both a prevention and pre-exposure prophylaxis (PrEP). Researchers found “drug resistance in a high proportion of patients after virological failure on a tenofovir-containing first-line regimen across low-income and middle-income regions”. This study highlights the growing need for surveillance of microbial drug resistance. Active Monitoring of Returning Travelers – Ebola Surveillance – The CDC’s MMWR for the week of January 29, 2016, discussed NYC monitoring of returned travelers from October 2014-April 2015. Monitoring of returned travelers from Ebola-affected countries was one strategy the US employed to prevent imported cases. This report reviews the 2,407 travelers that returned from affected countries, of which no cases were detected. The NYC Department of Health and Mental Hygiene (DOHMH)’s active monitoring system proved successful, however it was very taxing on resources and reinforces the need to minimize duplication and enhanced cooperation. Speaking of Ebola, investigators from the University of Texas Medical Branch at Galveston, Vanderbilt University, the Scripps Research Institutem and Integral Molecular Inc., have performed research to establish that “antibodies in the blood of people who have survived a strain of the Ebola virus can kill various types of Ebola.” Further work will now seek to understand immune response to the virus and how we can modify treatments and potential vaccines to be more effective. DoD BioChem Defense – take a glimpse into the global biosurveillance and defense efforts within the DoD Chemical and Biological Defense Program (CBDP). Working within several joint programs and striving to get ahead of outbreaks and attacks with early warning systems, this program faces the challenges of monitoring biochem threats on an international scale. Highlights this week include, Dr. Frieden goes to Washington, top Ebola doc comes down with the virus, a TB patient on the loose in California, and a plague based shut-down in China. Have a great weekend! USA Today—“‘Anti-microbial resistance has the potential to harm or kill anyone in the country, undermine modern medicine, to devastate our economy and to make our health care system less stable,” Frieden said. You may have seen this story pop up earlier this week in our facebook or twitter, but it certainly bears repeating. Dr. Sheik Umar Khan, who has been credited with treating more than 100 Ebola victims, has come down with the virus too. He is now one of hundreds who have been affected by the virus in West Africa, which has killed over 600. Prosecutors in Northern California have obtained an arrest warrant for Eduardo Rosas Cruz, a 25 year old transient, who was diagnosed with TB and disappeared before he started treatment. Rosas Cruz needed to complete a nine-month course of treatment. Tuberculosis spreads through the air when an infected person coughs or sneezes. It is not known if Rosas Cruz is currently contagious. By law, health officials cannot force a patient to be treated but courts can be used to isolate an infectious individual from the public at large. Parts of Yumen City, in Gansu Province, were quarantined after a farmer died from bubonic plague. The man developed the disease after coming in contact with a dead marmot on a plain where his animals were grazing. According to experts, Chinese authorities categorize plague as a Class 1 disease, which enables them to label certain zones as “infection areas” and seal them off. 151 people were affected by the quarantine, which was lifted after none developed symptoms.